I presented a Rare Wine Dinner in Restaurant L.A. Jordan in Hotel Ketschauer Hof in Deidesheim. 1996 Corton Charlemagne, Olivier Leflaive - good nose - buttery. Starting to show some age. 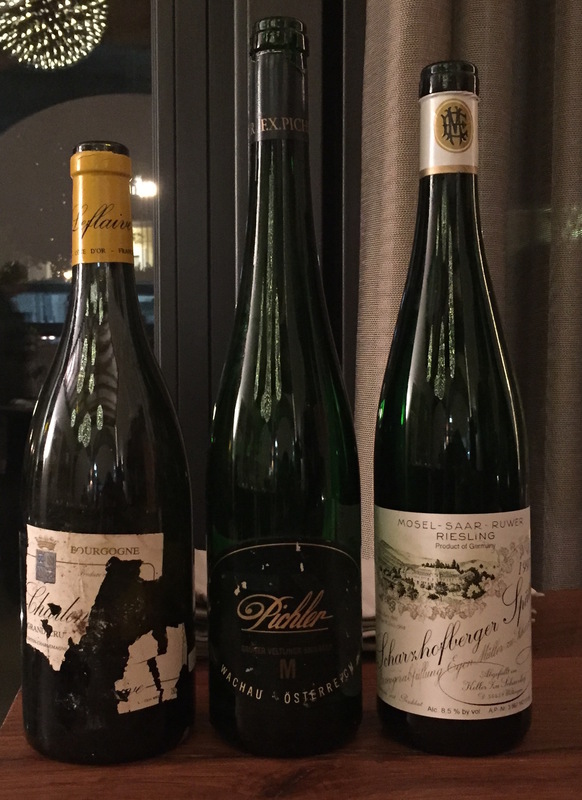 1997 Scharzhofberger Spätlese Riesling, Egon Müller - touch stinky at first. Opened up with air. A fine wine. 1999 „M“ Grüner Veltliner, F.X. Pichler - a big wine, still very fresh. Will age well. My favourite in this flight. 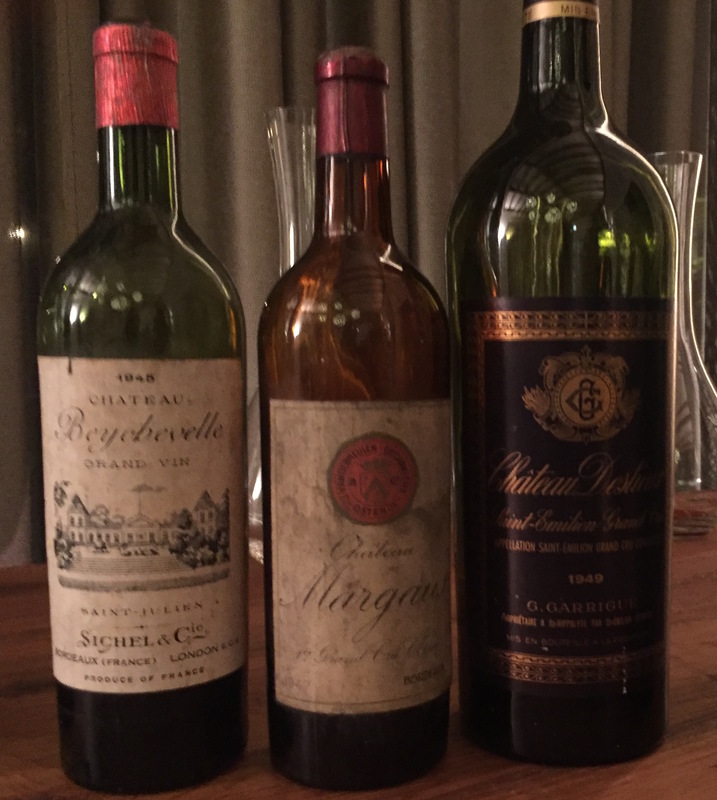 1945 Château Beychevelle - still good fruit. 1947 Château Margaux - very good. Sweet fruit on the nose. Good fruit and balance. 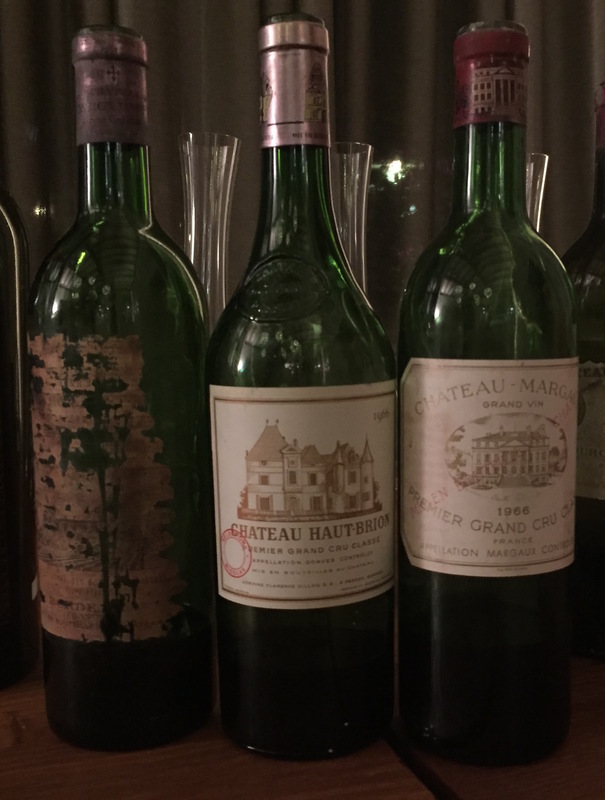 One of the best vintages for Château Margaux. The van-der-Meulen bottling is brilliant. My favourite in this flight. 1949 Château Destieux Magnum - a very charming and fresh wine. 1928 Château Cheval Blanc - maturing colour. Wonderful sweet fruit, showing some old age acidity. Still very good though. My favourite in this flight. 1970 Château Cheval Blanc Magnum - sweet and charming. Good but not great. 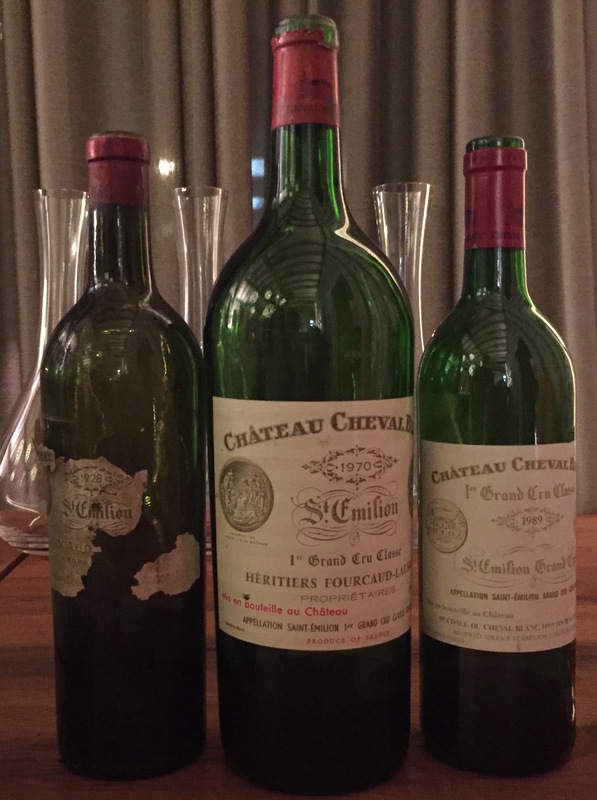 1989 Château Cheval Blanc - good concentration. Sweet fruit. Ready to drink. 1966 Château La Mission Brion - very youthful. Good fruit. 1966 Château Haut Brion - a very good complex nose. Coffee, chocolate and leather. Still very young. My favourite in this flight. 1966 Château Margaux - quite good fruit. Needs drinking soon. 19?? Alter Burgunder von Louis Jadot - dark colour. Signs of oxidisation. Porty nose. Lots of coffee on nose and palate. 1945 Clos de Vougeot - light colour. A delicate, sweet nose. Elegant. 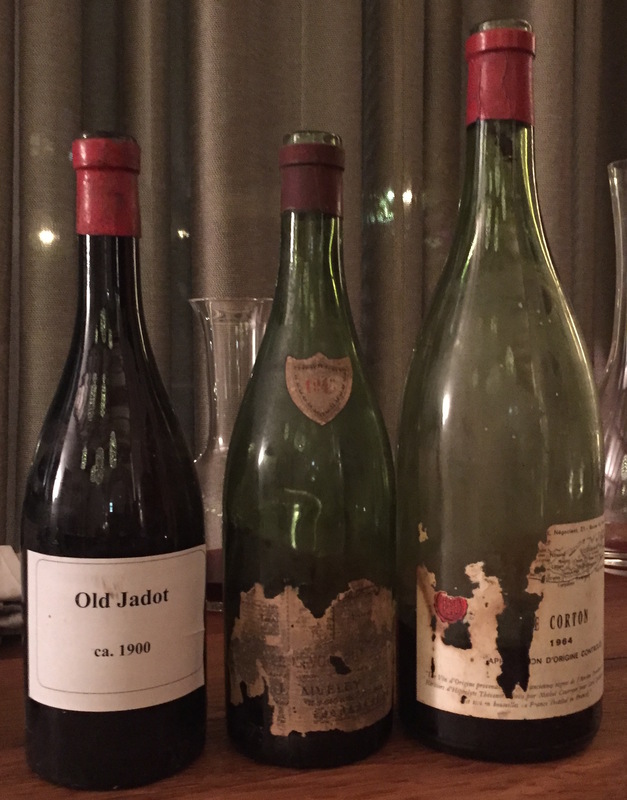 1964 Aloxe-Corton Magnum - stably nose, good fruit. 1934 Château Filhot - very complex and stylish. Nose with a touch of apricots and coffee. Still wonderful to drink. 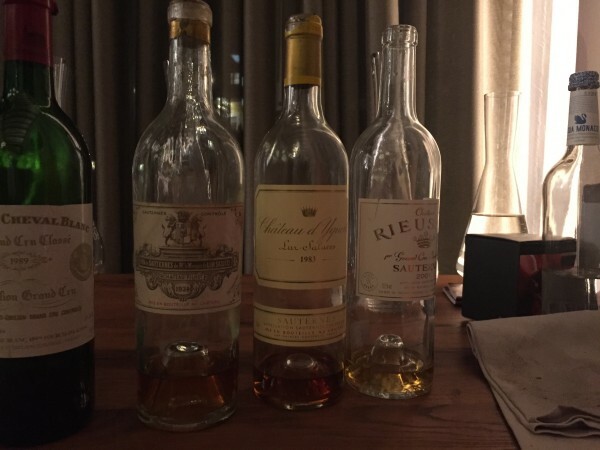 1983 Château d’Yquem - quite dark colour. Mature and a bit simple. 2001 Château Rieussec - light gold. Fabulous fresh fruit. Will age very well.